A lot has been written about the recent proposal by the GOP & Trump to end the shutdown. 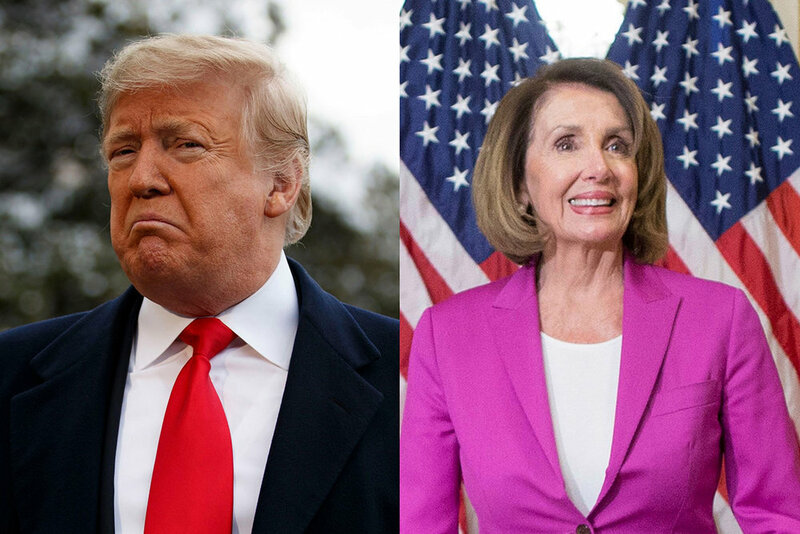 It has angered Democrats as the protections would only last three years, and angered Republicans because the deal would dare to offer what they term as “amnesty”. I might be the only person in the country right now who thinks they need to cut some kind of deal on this to open the government, but I am making the case to do so here. Right now, the Democrats are saying the deal is dead on arrival because a) the protections for DACA are temporary; b) any funding for the wall is wasteful and immoral; c) would enable Trump to gain a “win” on his signature divisive and hateful campaign rhetoric; d) would encourage Trump and the GOP to shut down the government each time a funding issue comes up; and e) the Ninth Circuit has paused Trump’s attempted recission of DACA and it doesn’t appear yet like the Supreme Court will take up the case this term. That’s a lot of cogent, articulate reasons, and I understand them all. However, there are five things that make me believe that the Democrats should move forward with some kind of deal for DACA, if not the exact one Trump and McConnell have proposed. The first is that the shutdown is hurting a LOT of people, first and foremost the 800,000 federal employees who did not choose to participate in this exercise. It also is hurting our national parks, food safety, airport security, EPA inspections, abiltiy to manage taxes, and so on. I realize standing on principle is important, but at some level we really need to get the government back open. Yes, I know all the reasons for not doing this - rewarding bad behavior, giving Trump an exit, potentially not getting a “good enough” deal. Screw all of those potential fears - the GOP and Trump already look terrible, and opening up the government now doesn’t undo that damage. We should be in the business of governing, and there’s nothing that’s happened here that will make the GOP look good if the government opens tomorrow. We need to get our people back to work and get our country moving again. Second I believe consideration of some legislative extension for DACA is actually a win, even if it only goes for a period of years. Let’s not forget, DACA was implemented via executive order, NOT legislation. As you probably remember from civics class, executive orders don’t have the force of law; they can be overturned and/or modified by future presidents, or Congress if it so chooses. That very fact is why Trump’s actions on DACA are being litigated across the country now. Democrats are quick to point out that the Ninth Circuit has put a halt on Trump’s attempted rollback of DACA, and that the Supreme Court is likely not willing to hear the case this term. So given the courts have put a halt on DACA rollbacks for maybe at least a year, what exactly would the Democrats be “winning” with a legislative fix? First and foremost, it would achieve some certainty for DACA recipients past the 2020 elections, and take the fate of Dreamers out of the hands of the courts. Keep in mind that advocates of relying on the court are saying in essence they are relying on the court of John Roberts to keep it in place. Do you want to take that bet? Don’t forget there’s another court case in Texas, Texas v. Nielsen that is still challenging the legitimacy of DACA as a whole. Legislative solutions are much more stable than ones imposed by the courts or the executive. As a matter of principle, we should always be wary of legislative dictates by the executive branch. Look no further than our current occupant of the White House - are we saying executive reach was okay under Obama, but not okay under Trump? Clearly our current situation makes that proposition untenable. Buying certainty for DACA recipients for at least three years for $5.7 billion? It doesn’t have to be the exact deal put on the table by the GOP - it may get better. Sign me up and we’ll figure it out over at least the next 36 months, and get people back to work. Third, I realize the wall is a waste of money. And to be candid, it doesn’t really bother me all that much. There are SO many more wasteful items in a $3.5 trillion budget that get used to advance policy. In my opinion, spending a few bucks to shore up some holes or put a few slats up along the border doesn’t practically really do anything. Making the wall a hill to die on gives it prominence it really doesn’t deserve. Fourth, after this debacle I don’t believe the GOP or Trump will have an appetite to engage in a shutdown fight again anytime soon. I could be wrong about this - but they look so bad right now I don’t think they’re going to do this again. Mitch McConnell is a bad person, as are his senatorial henchmen, but they are at their core polticians looking out for their own skin - they have to understand if they do it again will be so much more of a disaster than this one already has become. Finally, a deal for DACA will in all likelihood split the GOP and create infighting over the next two years. Popcorn anyone? Time to get the deal done and get back to work.